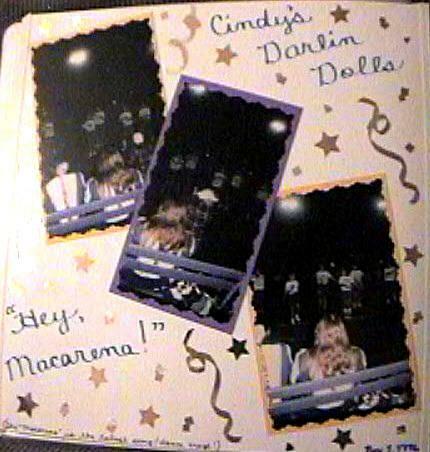 My daughter took dance, baton and cheerleading classes with a group called Cindy's Darlin' Dolls. Cindy is the name of the teacher. They had performances at local ballgames, talent shows, parades, festivals and beauty pageants. This is a performance of the then-popular Macarena dance at a football game halftime show.